Isn't it time you stopped chasing symptoms? These signals that you get from your body are frequently misunderstood. More importantly, treating symptoms without getting to the cause of a problem can lead to mismanagement of your health and more severe health problems as you age. 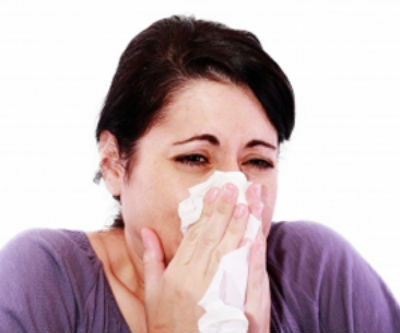 When you get sick, for example, and your temperature goes up, your body is naturally fighting off the infection. Bacteria thrive in a climate that is 98.6 degrees so your body's Innate Intelligence raises your temperature to help fight off the infection on its own. The symptoms of this elevated temperature can be muscle aches, fatigue, weakness and general malaise. At the first sign or symptom of a fever, many people will immediately panic and try to bring the temperature down with medication, treating the symptoms rather than letting the body do its job and heal itself. The medications that are used to treat these symptoms can lead to side effects and even weaken the body's natural immunity. In recent years, the overuse of antibiotics has created an epidemic of superbugs within individuals that are untreatable and pose a serious threat to our long term health. The CDC states, "If antibiotics are used too often for things they can't treat-like colds or other viral infections-they can stop working effectively. Antibiotic resistance has been a concern for years and is considered one of the world's most critical public health threats. Widespread overuse and inappropriate use of antibiotics is fueling an increase in antibiotic-resistant bacteria. Consider the case for "referred pain." This means you can feel a symptom in one part of your body while the cause or the origin of that pain is somewhere else. For example, very often the cause of arm, hand or finger pain is in the neck. Leg and foot pain will often originate from a problem in the back. Problems with the gallbladder will often refer pain to the spinal nerve roots in the middle part of the spine and vice versa. It is very common to hear our practice members say things like "I know I came because my neck hurt, and my allergies and headaches are gone too." or "I didn't even tell you about my menstrual cramping but since I've been getting adjusted, my cramps have been reduced dramatically." or "I sleep so much better since beginning my care." The list goes on and on. Isn't it time you stop chasing symptoms and get to the cause? You will enjoy a much healthier life when you do.